What a sweet way to remember a special date, whether it be a first date, a wedding date, special anniversary or the birth of a child. Finch and Cotter, an Etsy shop, offers a number of different sky, caption and framing options so you can find the perfect one for your special occasion. It would make an amazing Valentine’s day present. 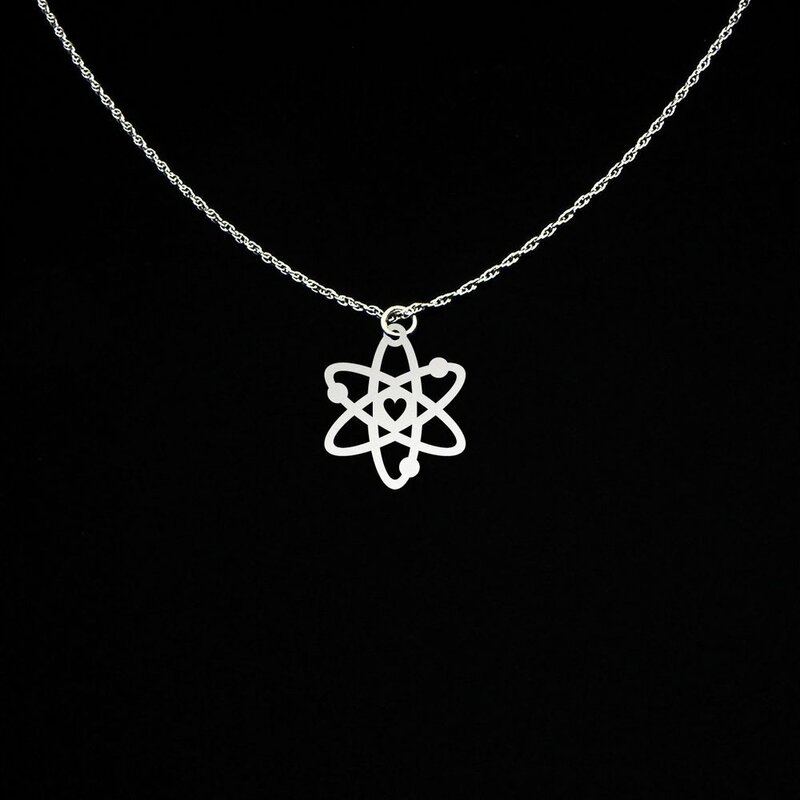 There are a number of Etsy shops offering creative and beautiful science related jewelry. Perfect for the science lover in your life! Serotonin is known as the happy chemical! A Resveratrol Molecule which is found in the skin of grapes, and thus in wine. In sterling Silver, White Plated, Gold Plated. Dopamine - the feel good hormone! All images above are from the sellers. In order to help support this site, we are an affiliate of a curated group of companies and receive a commission on sales through those links on our site. Please be assured that we only recommend products we truly love. Take a look at our "Shop Partners" section to see who we have partnered with. Not all recommendations are from partner companies as we recommend all things we love regardless of whether we are partnered or not to bring you the best recommendations possible. Luxurious machine-washable cashmere socks for him and her. Brit + Co have given crafting and DIY a stylish spin! This Marbled Jewelry Tray Kit has everything needed to make 2 one of a kind marbled dishes with gilded edges. Just add love and jewelry. A wonderful gift for the crafter in your life to make on their own. Or a very sweet gift if you were to make it yourself and then gift it to a loved one. Perhaps as a gift to mom on her birthday or mother's day. If you make it for someone else, make it extra special and truly one of a kind by inscribing a little message or name on the bottom of the tray with a toothpick while the clay is still wet. How sweet would it be to turn it over and read, "You are loved" or a child's name. Would be nice to include the year in fine print as well. Another option is to write on the bottom with a fine tipped sharpie after the clay is baked. You could also use the gold paint pen included with the kit, Brit + Co just says to be sure to let the writing sit for 8 hours so it does not smudge. Each kit is $25 and you can pick one of 6 colors. Buy now through Brit + Co - Marbled Jewelry Tray Kit. We have no affiliation with Brit + Co besides loving what they make and do.